How much is Joe Estevez Worth? 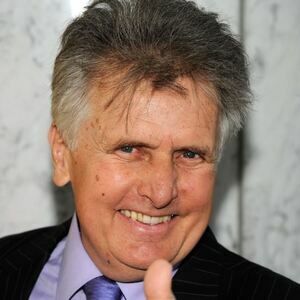 Joe Estevez net worth: Joe Estevez is an American actor, director, and producer who has a net worth of $5 million. Joe Estevez was born in Dayton, Ohio in February 1946. He is the brother of Martin Sheen and the uncle of Emilio Estevez, Ramon Estevez, and Charlie Sheen as well as Renee Estevez. Joe Estevez has more than 280 acting credits to his name. From 2014 to 2017 he starred as President Jason Davidson on the television series Decker. Joe Estevez has starred in several films including Apocalypse Now, The Zero Boys, Soultaker, The Roller Blade Seven, Eddie Presley, Return of the Roller Blade Seven, The Legend of the Roller Blade Seven, Dark Universe, Toad Warrior, Werewolf, Quiet Days in Hollywood, I Got the Hook Up, No Code of Conduct, The Catcher, Spanish Fly, Hitman City, Not Another B Movie, Turning Point, Samurai Cop 2: Deadly Vengeance, and more. In 2013 he won an Indie Gathering International Film Festival Hall of fame Award for Outstanding Achievement in Acting.